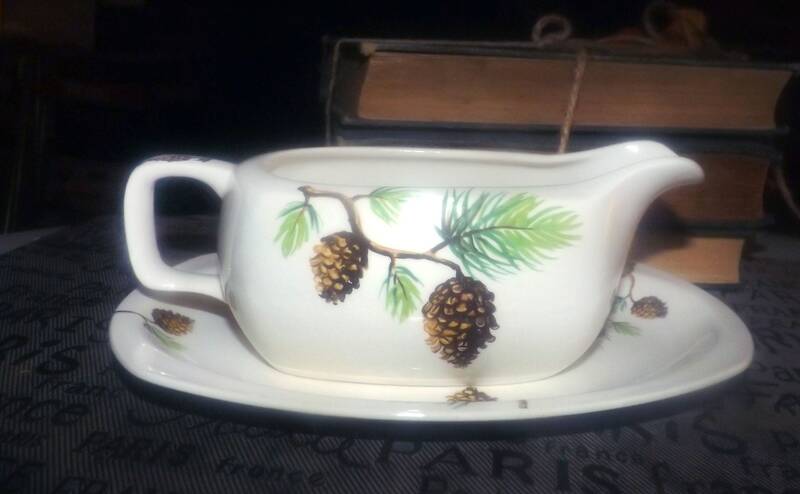 Mid-century (1950s) Midwinter gravy or sauce boat with under-plate. Pine cones, branches. StyleCraft line designed by Jessie Tait. 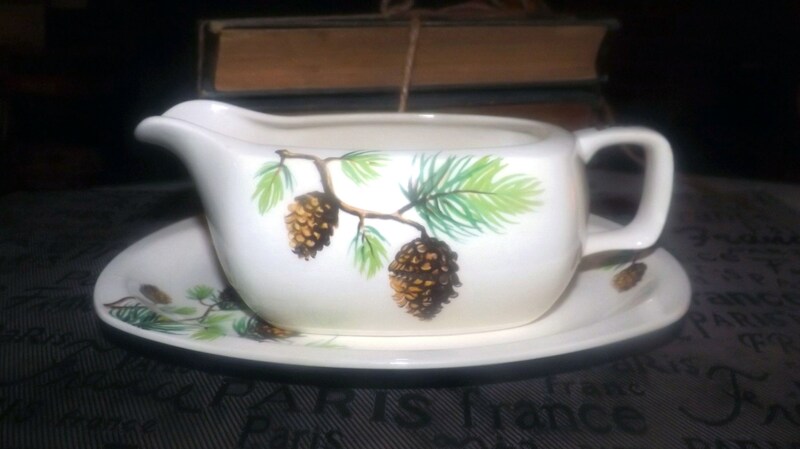 Mid-century (1950s) and super hard to find Midwinter gravy or sauce boat with matching under-plate. 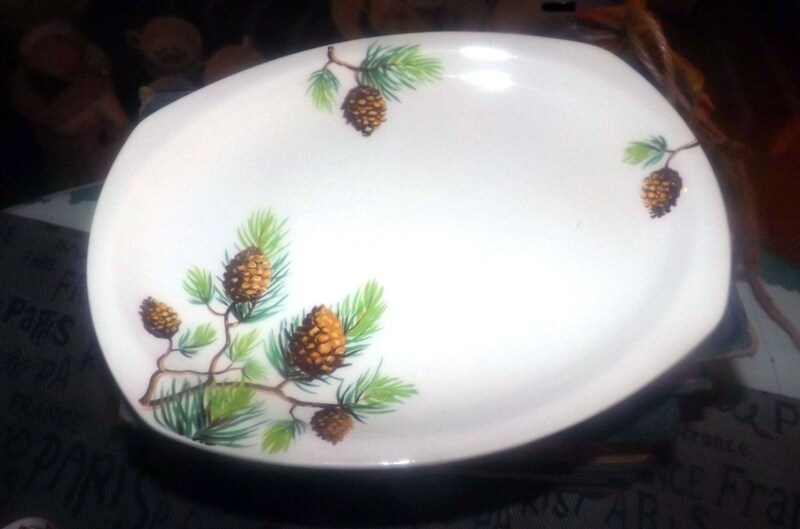 Pine cones, branches. 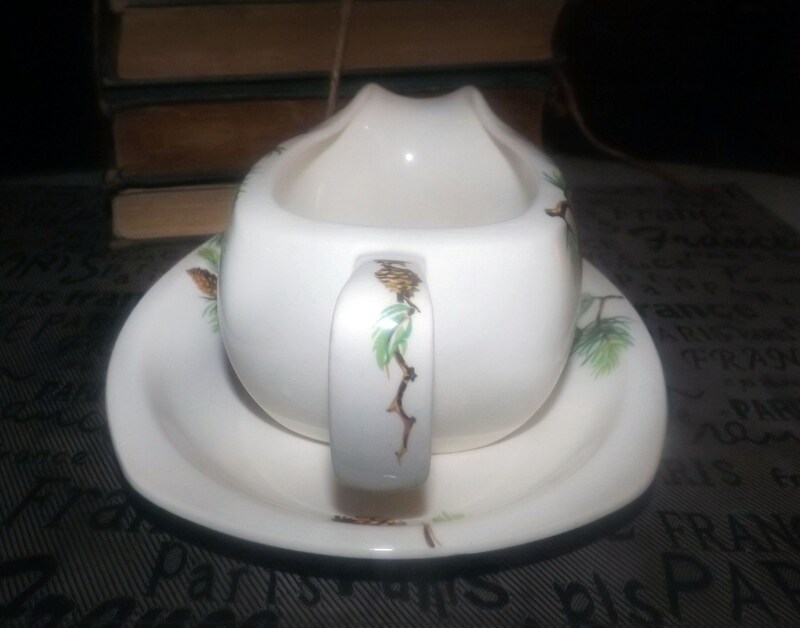 StyleCraft line designed by Jessie Tait. A prolific and highly respected English ceramic designer, Jessie Tait first interned as a junior designer to Charlotte Rhead and then moved on to the Midwinter Pottery, eventually becoming almost as famous as her mentor. 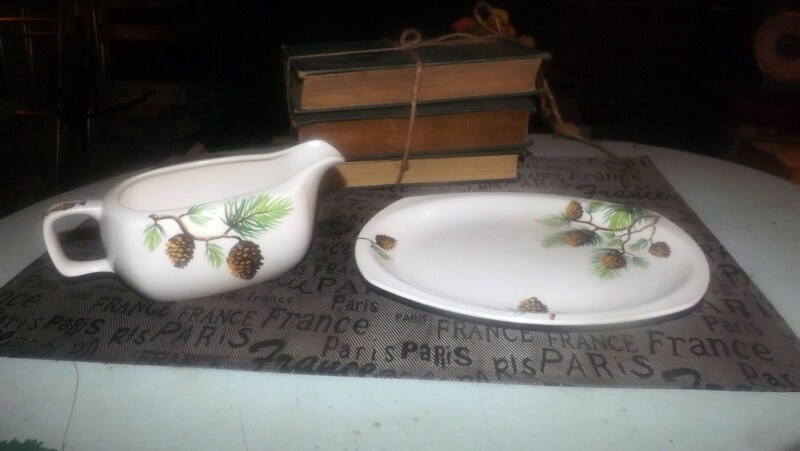 One of the first patterns in the StyleCraft series, this gravy boat set is in EXCELLENT! condition with NO! chips, nicks, cracks or fleabites, MINIMAL! crazing and NO! marks, stains, scratches or other signs of use or wear. The inside bowl of the boat is clean as a whistle! 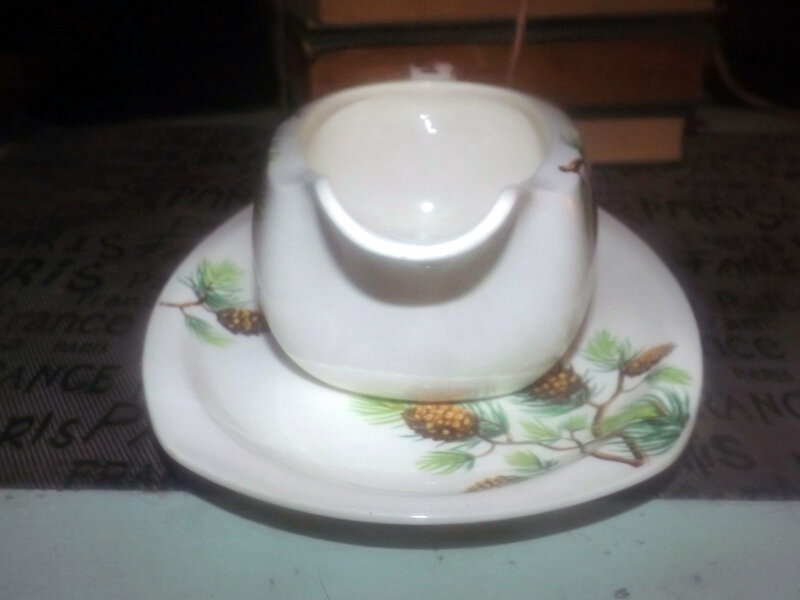 Approximate measurements: gravy boat stands 3-1/2" (base to tip of spout) x 7-1/2" across (handle to spout) | matching under-plate is 8-1/2" x 6-2/3" in diameter with a rim.